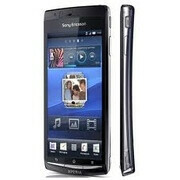 Sony Ericsson Xperia arc possibly getting a summer release in the U.S.
We already know that the Sony Ericsson Xperia arc is to debut in Canada in only a week's time, but news about the smartphone's U.S. launch has been pretty scarce. Luckily, a hint regarding its arrival emerged from the official Sony Ericsson Product Blog and suggests we may have to wait patiently until later this summer. I just got something from my US colleagues and the current plan is to have an “a”-variant available at retailers this summer. This version will be optimized for use in the US (GSM/UMTS). I’ll keep you posted as I get more details. So there you go, a clue from a reliable source that the Xperia arc is already on its way. Unfortunately, “this summer” does not sound as good as a concrete release date would have, but it will have to do until we receive an official announcement from Sony Ericsson itself. If the smartphone does indeed come to the U.S. sporting a GSM radio, AT&T and/or T-Mobile will most probably be the carriers that will offer it. Stay tuned as we will be keeping an eye out for updates. In the meantime, how about checking out this extraordinary Xperia arc commercial? The most sexiest Android phone Ever. does the canadian version works with tmobile 3g in the u.s.? Motorola Droid X (OS Android 2.3.3 / GingerBread) versus Sony Ericsson Arc. (OS Android 2.3.2 / GingerBread) fight for Benchmark (Quadrant Standard). Motorola Droid X have score 1667 and Sony Ericsson Arc just have score 1406. Follow this link to see photo of prove =>http://i56.tinypic.com/2pnwo.jpg (Right Hand "Sony Ericsson Arc" and Left Hand "Motorola Droid X"). More close up photo =>http://i55.tinypic.com/2yn2ety.jpg (Right Hand "Sony Ericsson Arc" and Left Hand "Motorola Droid X"). Note: Motorola Droid X still original (not Overclock).